Location, walking distance to shops, etc. Tram stop right in front of the building. Could not get out of there quick enough! If I had not paid upfront would of left immediately. The apartment was in a great location the bedrooms were spacious and the beds were reasonably comfy. Anchor on Collins This rating is a reflection of how the property compares to the industry standard when it comes to price, facilities and services available. It's based on a self-evaluation by the property. Use this rating to help choose your stay! One of our best sellers in Melbourne! 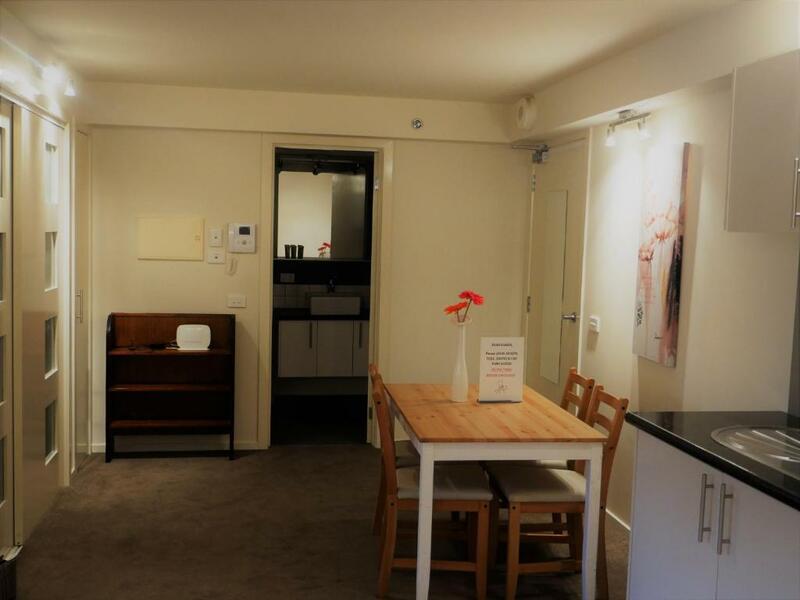 Just 5 minutes’ walk from Flinders Street Station, Anchor on Collins Classic offers self-contained accommodations with free WiFi. The property is a 10-minute walk from Federation Square. The large air-conditioned apartment features a fully equipped kitchen with a dishwasher, an oven and a microwave. It also has laundry facilities and a living room with flat-screen cable TV and a DVD player. Anchor on Collins Classic Melbourne is located in Melbourne CBD (Central Business District), just a 15-minute walk from the famous Queen Victoria Market. Melbourne Airport is a 20-minute drive away. You can relax in the small atrium, which features an indoor/outdoor seating area. 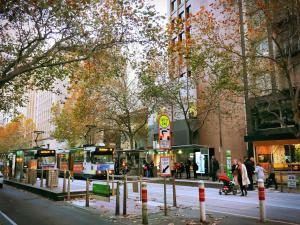 뀐 Located in the real heart of Melbourne, this property has an excellent location score of 8.1! When would you like to stay at Anchor on Collins? This classic, large 4-bedroom apartment has 2 bathrooms and 2 car spaces. The apartment opens up to a wide entrance hall and seating area that is followed by a gourmet kitchen complete with a microwave, refrigerator, electric stove and an electric oven. Adjacent to the kitchen is an open plan living/dining area. Central to the kitchen, dining and master bedroom is an atrium with an indoor/outdoor sitting area. The master bedroom has a stunning en suite with a bath and a separate shower room, toilet and vanity. Next to it is a spacious 2nd bedroom with built-in-wardrobes. Near the entrance is the 3rd bedroom. The 3rd bedroom backs out into a generous 4th bedroom, both with built-in-wardrobes. 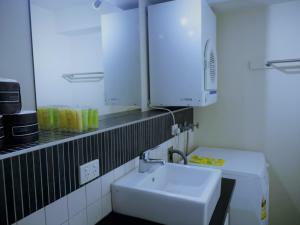 A full 2nd bathroom with shower room, toilet and vanity and laundry facilities are also available. The laundry includes a European washing machine/tumble dryer and ironing board. The bedrooms are furnished with king/queen-sized beds that can be split into 2 single-sized beds on request. 4 air-conditioners provide heating and cooling. - Master bedroom has a queen-sized bed and a single-sized sofa bed on the other end of the room. - 2nd bedroom - Queen-sized bed that can be split into 2 single-sized beds on request. There is also a single-sized sofa bed on the other end of the room. - 3rd bedroom has a bunk bed with a double-sized bed on the bottom and a single-sized bed on top. - 4th bedroom is large with a king-sized bed that can be split into 2 king single beds. Each king single bed has a trundle/roll-away bed underneath. - There is also a double-sized sofa bed in the lounge and a double sofa bed next to the dining area. Please note that the price is based on 6 guests. Maximum occupancy is 15. This large and spacious apartment has a lounge with city views as well as a gourmet kitchen complete with a microwave, refrigerator, stove top and an electric oven. Adjacent to the kitchen is an open plan living/dining area. The light-filled large bedroom has a queen/king-sized bed. The stylish central bathroom has a shower room, toilet and vanity. There are laundry facilities, including a washing machine, tumble dryer and full ironing facilities. Some of these 1-bedroom apartments are duplex penthouse apartments with a bedroom on 1 level and a kitchen, lounge/dining area and other facilities on another level, all connected internally. Some apartments also boast a separate study room/area. Each apartment features a secure entrance, marble bench tops, 50-inch flat-screen TVs and unlimited use of dedicated WiFi. Secure car parking facilities in this building is available for an additional charge. Bed linen and towels are included. - The master bedroom has a king/queen sized bed that can be split into 2 single beds. - The lounge room has 2 single sized pull-out sofa-beds. Please note that this apartment will not be serviced for the duration of your stay. Servicing is available on request for an additional charge. Please contact the property in advance, using the special request box when booking or using the contact details found on the booking confirmation. A port a cot, high chair and roll-away bed is available for free, on request, subject to availability. Anchor Abodes is an Australian owned, owner managed, boutique family business that specialises in providing luxury holiday and work accommodations, mainly in Melbourne CBD. 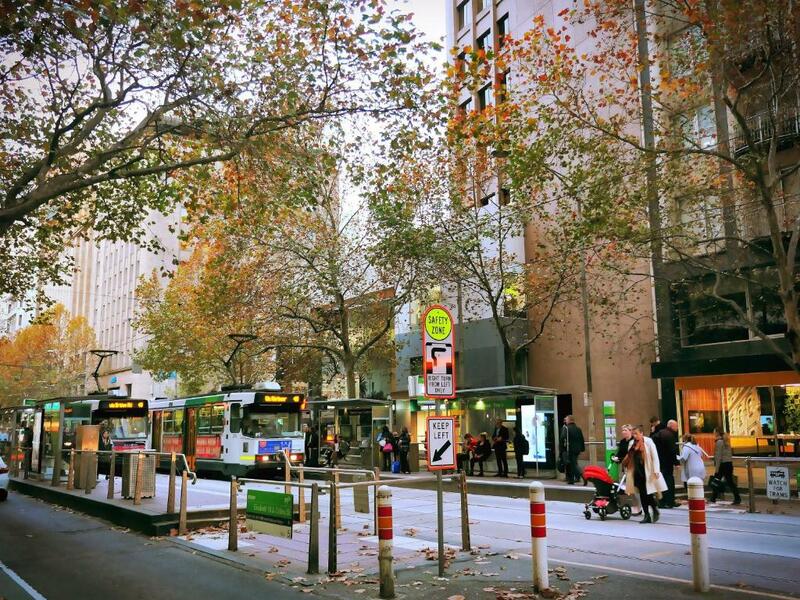 A PERFECT PLACE TO BASE YOURSELF NOT JUST TO EXPLORE MELBOURNE BUT THE WHOLE OF VICTORIA! 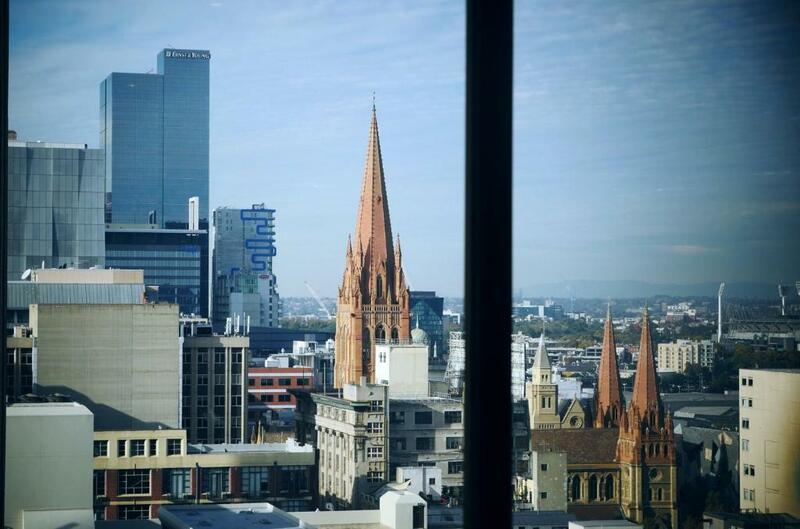 The apartment affords comfort and privacy yet the vibrancy of both Melbourne, Docklands and Southbank right at your doorstep. 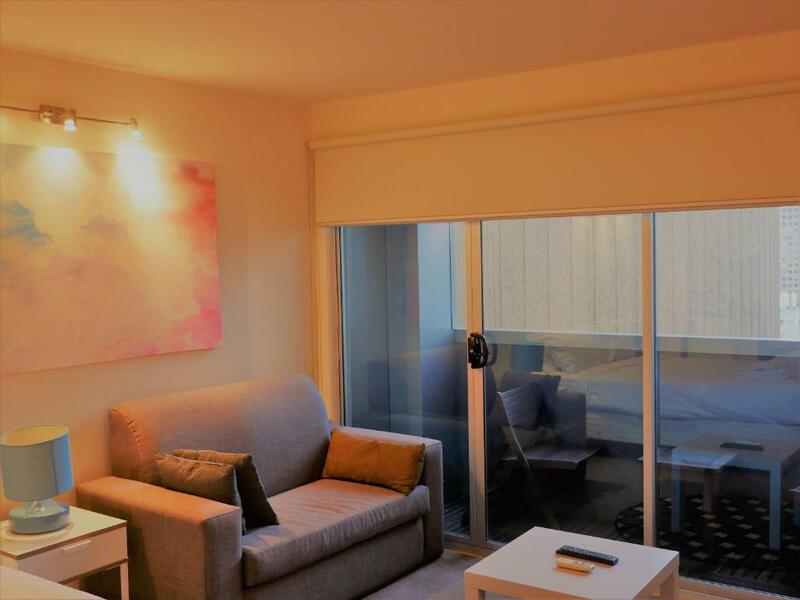 Close to Shopping Centers, Flinders Street Station and Melbourne Central Station, Etihad Stadium, Crown Casino, Aquarium, Federation Square, Victoria Markets, Flagstaff Gardens and endless selection of restaurants and shops. Multitudes of transportation options - Trains, Trams and buses all within 100 meters distance connects you literally to every part of Victoria. 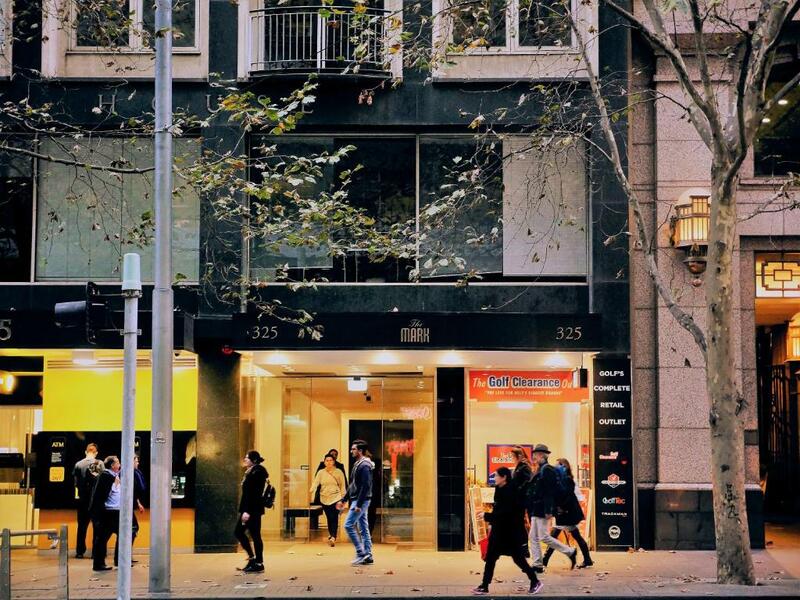 Direct shuttle service available to and from the airports to Melbourne CBD with SkyBus allowing cheap but convenient option to arrive at this building if you are flying. Two secured car parks keeps open the option of driving in or hiring a vehicle on arrival and thus covers all bases for connectivity. House Rules Anchor on Collins takes special requests – add in the next step! Anchor on Collins accepts these cards and reserves the right to temporarily hold an amount prior to arrival. Please note this property requires a refundable AUD 500 security deposit upon check-in to cover any damage to the property. This amount will be refunded after inspection of the accommodations. You must show a valid photo ID and credit card upon check in. The credit card must be in the same name as the guest's name on the booking confirmation. A damage deposit of AUD 500 is required upon arrival – that's about 357.57USD. This deposit is fully refundable at check-out as long as there's been no damage to the property. Please inform Anchor on Collins of your expected arrival time in advance. You can use the Special Requests box when booking, or contact the property directly using the contact details in your confirmation. Not a big fan of key ninja. driving into city hard to nominate arrival time then a bit of a delay getting key. Fortunately we were not in a hurry. same upon collection of key. ended up leaving key in room. This venue was a disgrace, it didn’t deserve a one star rating let alone 3! It was dirty, exiting the lift all we could smell was smelly garbage, the showers were mouldy, floors dirty, products of previous visitors were left in showers. The arrangement to get and return keys was a joke, I had to pay a $500 bond on top of over $400 for the room and it took almost a week for the bond to be returned and was returned after I contacted and asked for it to be refunded, then I had to pay a further $25 cash to actually get the keys! The parking arrangements very poor, garage is unmarked, it took ages to get answers to enquirers about parking. We have stayed in lots and lots of accomodation and this is the worst I have ever stayed in, in fact I have stayed in better shearers quarters in outback Australia. The cost and additional expenses were abhorrent, the state and lack of cleanliness downright disgraceful and service poor. The vendor changed the booking location after confirmation, I specifically chose the original location due to proximity to my offices, this is the second time I used CorporateStayz and the second time they did this. As a single traveler I don't see any value in being upgraded to a 3 bedroom apartment to 'compensate'. Vendor told me the address was 81 Exhibition street, when it was actually 181 - I had to find it. Vendor charged a $500 security deposit and after a week they still have not returned it. Accommodation had a live power point torn from the wall - very dangerous and illegal, staining on the furniture, grubby appearance, damaged appliances - when notifying vendor, there has been no response. Poor service, poor accommodation at over $200/night and overall poor value for money. I travel a lot and customers should not be expected to accept this! Cupboards in kitchen broken. Dirty cups and plates. Difficult to get access. Keyninja process driven and not customer focused. WiFi didn’t work. Incorrect password. The extremely poor customer service. The "hosts" went out of their way to make it impossible for you to contact them. The "1300" number provided by Booking.com constantly went to voice mail. I left two voice mail messages and received no response. Similarly, I sent three emails and again no response. The Marvel inspired "Key Ninjas" who were to meet us on arrival and check out simply responded "contact the host" on any occasion in which we raise an issue concerning our booking. The room was filthy, patched holes in walls and doors everywhere, broken tiles, furniture badly damaged, room not as per description, light broken and missing, vents covered in years of filth and cobwebs, wet towels on floor from previous guest, the list goes on..
No outside view except for the sun room in the middle of the apartment (which wasn't clean due to constant wet condition). Vents in the bathroom led cold air in so the bathroom was freezing. Perhaps it would be ok during the warmer months. Washing machine wasn't working properly (draining issue) and it wasn't fixed despite telling the host about it a few times. The cupboard doors in the kitchen falling off. Tiles in the bathrooms broken. Bathrooms dirt, vents I bathroom had thick dust hanging from it. Some beds were not made up. Port actors were a disgrace, mattress’s in both either had baby spew or baby milk on them. I’m sorry for the bad words but this was a family that were meeting up from 3 different towns for our yearly stay. When you go into a place that is dirty with mould, chipped cups and unclean it is not the right start to your yearly meet up. Well where do I begin... Firstly the photos do not reflect the "actual apartment". The place has no natural lighting other than a void area in the middle of the house which is open to the upstairs parking area,( therefore noise, smell, and cigarette butts are always thrown down)in that area. The "family / lounge room" has two, two-seater sofas no more than 1 meter away from the tv and the stairs are in the middle of the apartment ( 4 in total). The dining table is in the corridor and is shoved against the wall... four people AT BEST may sit on around the table. Then comes the sleeping arrangement..the flat bed linen doesn't even fit on the beds and the pillows feel like bricks. The bunk bed squeaks every time somebody moves in it and the heating, or lack of it,is at best mediocre. The marking on the walls and the general state of the apartment is, in my opinion not suitable for tenants. The concierge is non-existent as they claim 24/7 communication in their advert and the housekeeping for the premises were limited as I had to argue to have the linen and towels replaced. Even then I was there for 7 days and they only replaced the towels and linen once after I argued. I had left my wedding ring in the second bathroom on the shelf and hadn't realized until after I had locked the premises. It took over 72 hours for either, myself or booking.com, to even communicate with them stating that "their offices are closed on weekends" and there is no resolution even as I write this review. I would highly recommend you keep looking or change your dates rather than stay at his place. This property was disgusting. I have had the worst experience possible with the accomodation and the managers of this property. The property was uninhabitable. The toilet was broken, there was no heating, there was mould in the shower, the windows didn’t close properly, everything was dirty. It was completely unhygienic and not fit for rats to inhabit. The property owners and managers are uncontactable, their offices are empty and I ended up leaving and finding new accomodation. I was promised a refund as I could not stay there and have yet to receive it. Booking.com were extremely unhelpful in the situation and I will never book through them again. I believe that this is a scam. I would recommend that NO ONE Stay here. Ever. Absolutely disgusting. Unit was very dated and poorly maintained. Was reasonably clean, spacious and in a good location! Hard Pillows, uncomfortable seats in a very small lounge area. Ensuite door didnt close had a gap. On check out we were told all 4 keys were to be left on table so we did that and then tryed to get out we were locked in the car parks and after 13 phone calls and several texts messages, a resident help us to get out after 3/4hrs, still havent had a response to anything.